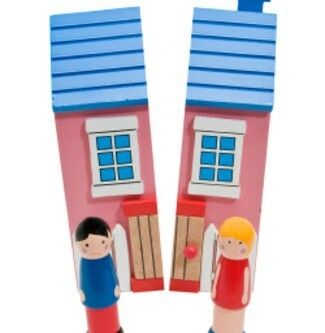 It seems that seven banks have been cleared to offer them as a solution for borrowers who are in difficulty, but what is a split mortgage and how will it work? The mortgage is split into a sustainable portion and a warehoused balance. The balance (warehoused part) at the end of the term would be paid off in one of several ways, by selling the property and clearing the remaining loan, trading down to a smaller property, realising other assets such as pensions or lump sums/inheritence etc. or by agreeing a life interest in the property (which I suspect is a reversionary loan where you stay put and the lenders portion of the loan compounds interest which eventually negates the borrowers stake). You’ll note that the original loan balance is not mentioned, rather they base your repayments on what you can repay, this becomes the ‘live mortgage’ the rest goes into the magical warehouse. You can see that from 2012 to 2017 some money is paid down (€10,000), no sooner does that happen than €28,000 comes out of the magic warehouse and goes on top, so you struggle to pay in order to get deeper in debt – I’m told there is some genius workings in here but am struggling to find them so far. The next example will break it down further. The owner of a split mortgage will also have to pay a higher percentage of their net disposable income or NDI towards the loan than the banks would normally underwrite – in other words – the banks agree that you can pay 40% of your disposable income towards a loan if you already owe them it, but damned if they would lend to you on that basis. Now onto a working example, in the report they have a ‘happily ever after’ scenario, and then the more realistic one, I’ll deal with the latter, bear with me, this is some boring $h1t but it’s important. So Mr. or Mrs. Borrower is €80,000 underwater, and assuming there is 2% growth in prices every year then in 30 years they can hope to have a place worth €217,000. Their existing 200k loan is broken down into two parts, as mentioned the €123k affordable part then €77 is hived off to the magic warehouse. As before, in year 1-5 your loan decreases by €10,000 but don’t forget the happy warehouse is there compounding against you all the while, while you pay off 10k it manages to make you worse off by €21,000! Now you have gone from owing €200,000 to €211,000 in return for sacrificing a higher percentage of your disposable income. You earn a little more in year 5 and presto, you are gonna pay out more! The €70,000 is now back in the warehouse (and remember: you always want compounding working with you not against you!) and it turns into €226,000 by year 30. At which point you can happily sell your house because you don’t own it and even avail of a €9,000 loss for the pleasure of it. Perhaps I am reading too much into Islamic finance of late and identifying with their founding premise of ‘risk sharing’, but where is the pain in this for the bank? Granted, they have some assets that they can’t realise and must provision against, but it isn’t really the same as ‘losing’ the way the borrower does. This idea is stupid, plain and simple, it is stacked in favour of the lenders, that is why 7 of them have already signed up to it; a classic ‘delay and pray’ manoeuvre and the only way it would make any sense to use would be if interest were discounted or waived on the warehoused portion, otherwise it makes better sense to just go bang and have a personal insolvency agreement under the new legislation. Why go bang instead? Well, you get to start again with no claim on future income the way this one does which could create potential losses 30 years away, if you have a home you simply can’t bear to leave then that might sway it, but for your average borrower in trouble this is a ‘solution’ but only for one side of the debt party. Mortgage arrears: Should the state and banks accept liability? Property Prices: More transparency needed? Millions of people in India are in a similar if more drastic arrangement,whole lives in Hoc to moneylenders. Only pay the original capital sum back. Let the institutions pay interest on their own greed. My view is that all assets available to the borrowers’ should be drawn on in order to service the personal mortgage debts – pensions, shares… etc. legislation changes would be needed to facilitate access to these. If there is an outstanding figure when these assets are drawn in that is beyond what the property is reasonably worth, then portions of this debt amount should be either written off to reduce the repayments to 33% of current income over the borrowers’ time left to retirement date. Borrowers in mortgage arrears should enter retirement date at least mortgage free. The persons’ use this remaining asset (i.e, the property asset) to fund their remaining year of retirement. It’s will not be equal system across all situations as years to retirement will differ in each case. And there would need to be some consideration for the overall value of the property and area built in to balance things out – down grading to a cheaper property may be necessary requirement at the change over point. Bring in legislation to curtail property ownership to maximum of 2 houses. System to regulate and inspect properties under management. Legislate for the licensing of home purchasing – like a drivers licence. 1st licence free, second one at a minimum rate and punitive rates on any additional licences requested thereafter. These to be displayed in each home, like a drivers licence with contact details of owners of the licensed property. When all this is done. Let the market forces work… For Jases Sake, Central Bank, Nama… get out of the way of ordinary people and small business that rely on the disposable income of local people. How about a tax break on mortgage repayments? Think about it, a scheme where you could pay directly out of your gross pay (like the Taxsaver Rail tickets)at a reduced tax rate, say half of the income tax level that would be applied, would encourage people to pay off their mortgages much faster and at no extra cost to themsleves. This would also help a lot of those who are struggling, because they could opt to service their mortgage at the same level, but the tax difference will mean they have the extra money to spend on other items. The VAT receipts on these goods would probably help offset the cost to the Exchequer too. You could also scrap the Mortgage Interest Relief subsidy. The Bank will also get their cash back quicker, so I doubt they’ll be complaining, even get them to pay an extra 5% on the excess to help shoulder the burden! The reduction of the loan books much faster than expected, not to mention the amount of defaults they will avoid as a result, will help re-stabilize them at a faster pace too. They may even be able to increase their lending again. The ultimate benefit though will be to the economy, as the housing market will recover much faster, returning us to an equilibrium infinitely faster. Of course, I doubt there is the political will to move forward with such a win win plan. Excellent explanation of the Split Mortgages. Who is the guy that thought this up? Can we see him before we run him out of town? He probably got paid ‘big bucks’ as well for writing the answer to the Bank’s problems. Why don’t the Government employ Karl Deeter to come up with equitable choices? Well done Karl, nice simple explanation, unfortunately, without a brains led democracy, rather than a parish pump and primary school led one, you will be writing with utter incredulity for the rest of your life at the machinations of our CEO’s (ie Ireland Inc) ( qualification to run a multibillion euro enterprise, 3 years post qualification experience teaching recently potty trained 5 year olds). A win – win for the banks. The man on the ground is still paying for the banks inefficiency and irresponsible lending. Did ‘experts’ really sit down to figure this out? I agree with the above comments, now havent said that a lot of people are living in Never land. I”ve over heard a few people talking about Debt forgiveness, and only think they will walk away from the bank keep the house they can no longer pay for? If That was to be true happy days I”ll gladly take my P45 tomorrow! Nice to see people voting for a straight write down on all loans. Reward those who took risks. Reward the larger developers more so. Punish those who saw a problem and maintained a normal financial balance. The day that ever comes to pass is the day I leave the country. The issue behind almost every solution using term extensions is really about the capital repayment, putting a loan on interest only is the same as giving a person a 1,000 year term, if no capital is being repaid then the term is perpetual. This is a real ‘cake and eat it’ scenario for lenders given that the alternative is to crystalize the loss – the only thing against it is the idea of somebody losing their home, but do the maths, you could be worse off in 30 years time anyway! That is a fantastically clear explanation of how split mortgages work (or don’t). It highlights the premise that, as usual, you get nothing for nothing and the 7 banks have latched onto it. It is disgraceful that the Government do not have the proper financial advice to see right through this “deferred” scam and have indeed advocated it’s use. Is this yet another example of the cosy cartels working behind the scenes? I think the repayment period of mortgages should where necessary be extended to whatever period is reasonably necessary. There should be flexibility in allowing moneys in pension funds be used be set to off against unsustainable mortgages-maybe some kind of self administered pension fund for the individual. None of these things will happen because the powers that be are only interested in maintaining an unsustainable public service. how do i see comments? ?